Big Blue's Online Carburetor: Vintage Tuesday! - Phil and his '66. T-shirt winner! Vintage Tuesday! - Phil and his '66. T-shirt winner! 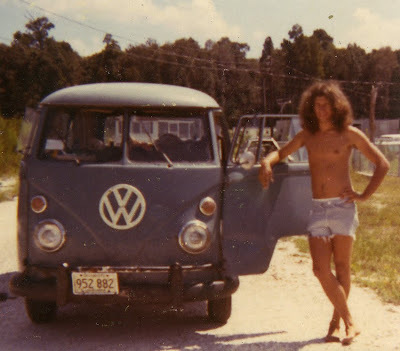 Thanks to all who sent in vintage VW photos to enter the win a t-shirt. Phil's name was drawn from a hat and is the winner! What a fantastic photo! Well, I never thought one of my bus photos would ever be considered vintage. This one is from 1971 with my '66. I had just gotten it and my now wife and I took it on a trip to Florida... My wife just reminded me that our starter went out and we picked up a used one and that she helped me install it. So, hats off and a t-shirt in the mail to Phil! Next Tuesday we'll show more photos that were entered in the contest!